One of the hardest things about sticking to a healthy diet is the in between meal period. Finding a healthy snack that fits into your diet isn't as hard though as it may seem. Although grabbing a bag of chips or a chocolate bar is easy and convenient, I have 5 healthy snack options that are sure to fix that sweet tooth, satisfy your salt craving, and still keep you on the healthy track. 1.) 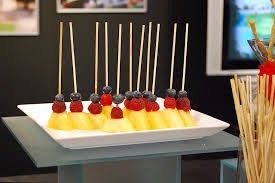 Fruit Kabobs- Grab a few kabob sticks and cut up a few cubes of your favorite fruits. I love using strawberries, banana, and pineapple. Carefully slide your cubed fruit onto your kabob sticks. If you need to feed your sweet tooth even more, drizzle a bit of chocolate across your fruit kabob for a healthy and sweet snack or dessert. 2.) 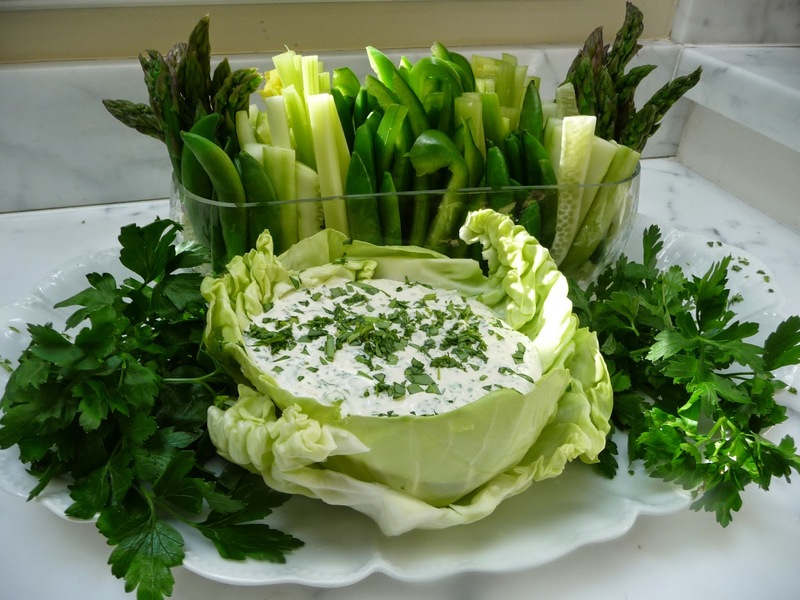 Cottage Cheese Dip- Puree some cottage cheese with garlic, black peper, and some fresh herbs. Use this tasty combo as a healthy dip option for crisp veggies or whole wheat crackers. 3.) 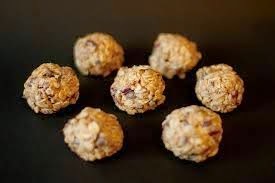 Energy Balls- I have been making these yummy bites for a while now and even people who aren't into the whole healthy eating, love them! Did I mention that they are no bake too? -Mix all ingredients together in a bowl and place the bowl in the fridge for about 10 minutes. -After 10 minutes take your bowl out of the fridge and roll the mixture into bite size balls. -Place your energy balls in a Tupperware container and store in the fridge. -Grab a snack and go on the run! 4.) 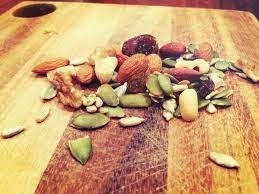 Trail Mix- This is a super easy snack that you can tote around with you whenever and wherever you please. This is also a great snack to customize to your liking. If you don't like one ingredient, just replace it with another. I love combining almonds, craisins, pistachios, raisins, and carob chips. Yum! Just through all ingredients in a Ziploc bag, give it a little shake, and you are good to go. 5.) Cinnamon Apple Crisp- This is another quick fix perfect for a snack or dessert. Combine fat free vanilla Greek yogurt, a dash of cinnamon, and some honey (to taste). Next slice up an apple and place the slices in a bowl. Pour your yogurt mixture over your apples and sprinkle some granola over the top for a crunchy and satisfying combo. What's your favorite "go to" healthy snack? All of these sound TASTY! 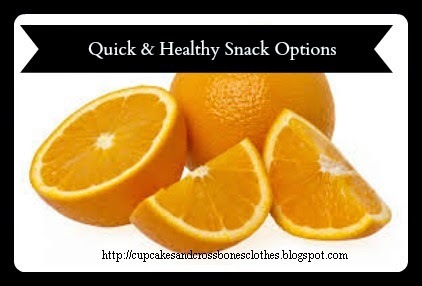 Fruit is always a go to snack - it's easy to grab. I love Almonds - and if I need a chip - then Crunchmasters makes a gluten free Nacho Cheese flavored crisp... get a lot of chips for not a lot of calories. Gluten free Nacho Cheese flavored crisp?! Oh my gosh, i must get these ASAP! mmm hummus is my favorite! The dip in the lettuce bowl sounds really good. The energy bites sound really tasty! They are delish! Totally healthy but tastes amazing. Cottage Cheese Dip!?! I am for sure going to try this! Sometimes I just need to dip my veggies in something. I hear ya! It is super yummy and healthy too. win win! gotta love those on-the-go snacks. makes it so easy! and when they are healthy, it is even better! Those energy balls look great and I have all the ingredients. Hmmmm. I love some trail mix but I have no concept of portions. I could measure it out but it just makes me sad when I see what 1/4 gets me. Same with granola. The energy balls are amazing and addicting! I love cottage cheese so that dip seems delicious!! !